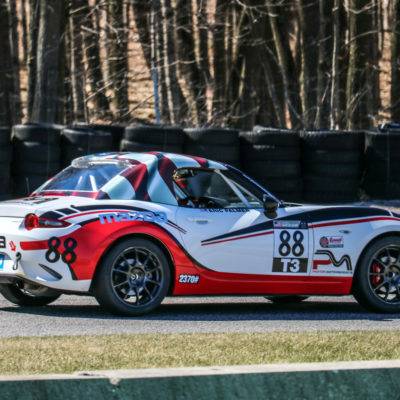 The Photon Motorsports #88 Mazda Global MX-5 Cup Car piloted by Eric Palmer. 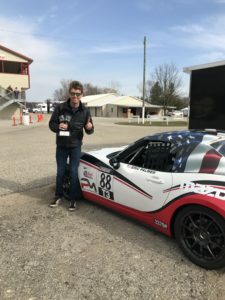 Driving the #88 Photon Motorsports Mazda Global MX-5 Cup car, Eric Palmer finished first place in Saturday’s race while starting in the third row. Eric Palmer receiving his first place trophy for Saturday’s race. On Sunday, Palmer qualified in third place and knew he had to immediately create some separation between the cars behind him to have a chance at a podium finish. 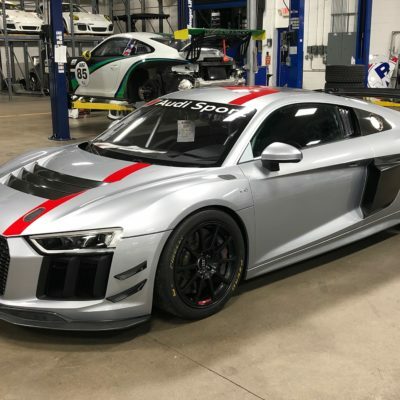 He overall finished the race in second place in class (T3) and third place overall. 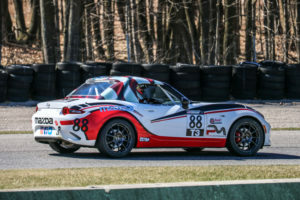 Our next race is again at Blackhawk Farms in South Beloit, Illinois, on Memorial Day weekend (May 26-27). We hope to continue the positive results and momentum we have previously had at Blackhawk Farms.